I’ve been working on a wedding shower shadowbox this weekend, and realized an anniversary was approaching quickly for my friend Karen. Karen loves lizards – in fact – she even had one or two on her bridal veil (pink, I think – faux, I am sure). 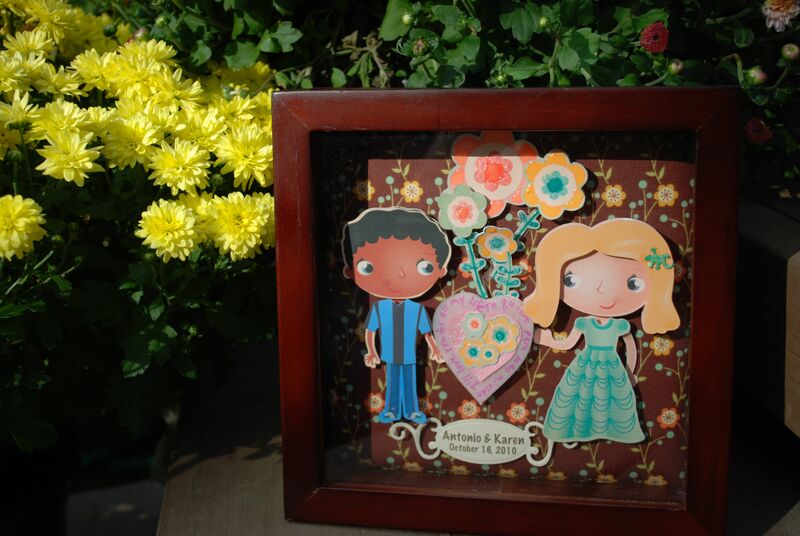 The couple are holding a heart from their wedding “fiesta” invite which preceded their wedding several states away. The Cricut Imagine Cuts are from Best Friends – his figure originally had pig tails which were trimmed, and he got a more masculine figure through the use of a purchased “soccer shirt.” Overall, I still like it. Almost a year later. An accomplishment. I should be wrapping up with the latest shadowbox soon. It is a whole new palette to me – blue. And I hope to get the rose bush tutorial done soon as well. 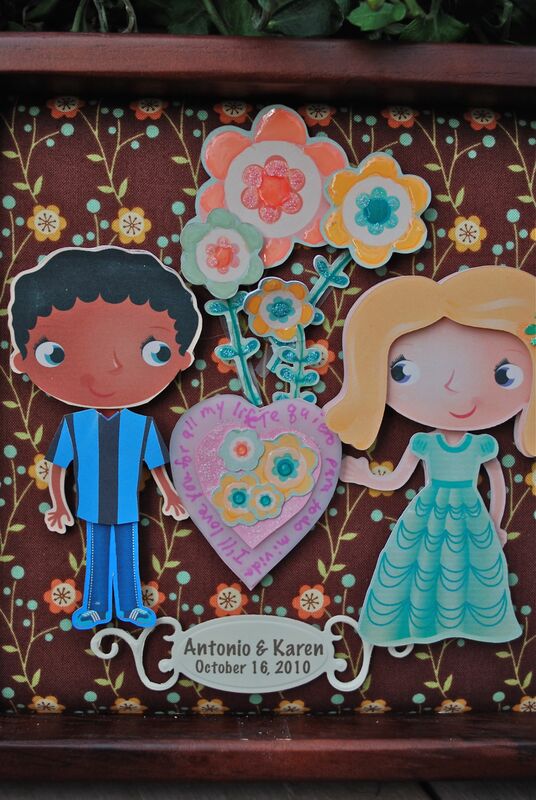 In the meantime – here are Karen and Antonio from October 2010. Well, thank goodness it was a faux lizard on the veil!! I love how you made the figure masculine!! I have such a hard time figuring out how to alter those Imagine figures– I always give up. You have opened my eyes to possibility. Very sweet project! Sure to be much loved! This is such an awesome project!! You did a great job :D. Love how you incorporated the heart from the invitation.